BANGKOK — Authorities in Thailand said they have decided to indefinitely extend the closure of a beautiful bay made famous by the Leonardo DiCaprio movie "The Beach" until it recovers from years of environment damage caused by too many tourists. 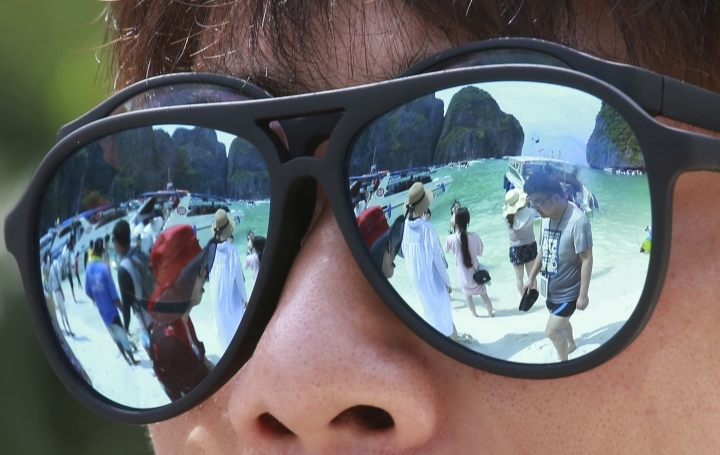 They had announced in March that tourists would be barred from Maya Bay from June 1 to Sept. 30. An official announcement published Monday in the Royal Gazette said the bay, part of a national park, will now be closed "from Oct. 1, 2018, onwards until the marine natural resources return to their normal condition." The announcement said an assessment by the Department of National Parks, Wildlife and Plant Conservation found that after having been closed to tourists for four months, Maya Bay still had not recovered. Maya Bay, part of the Hat Noppharat Thara-Mu Ko Phi Phi National Park, had remained open year round to cater to tourist demand since a Hollywood crew set foot there in 1999 to film the dark backpacker tale that starred DiCaprio. Many Thai marine national parks are shut annually for four months. 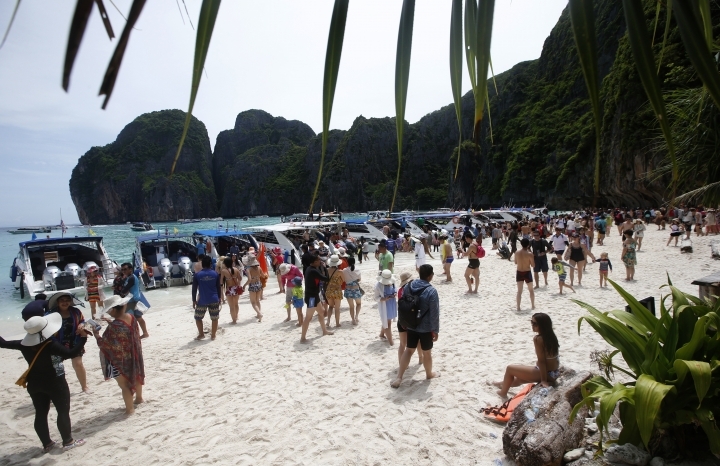 The beach at Maya Bay had received an average of 200 boats and 4,000 visitors each day. Recent surveys by a team led by marine biologists found a large part of the coral reefs in the area is gone and sea life has virtually disappeared.